For the next year, the Philadelphia Area Tennis District (PATD) will have bragging rights over the other five districts. 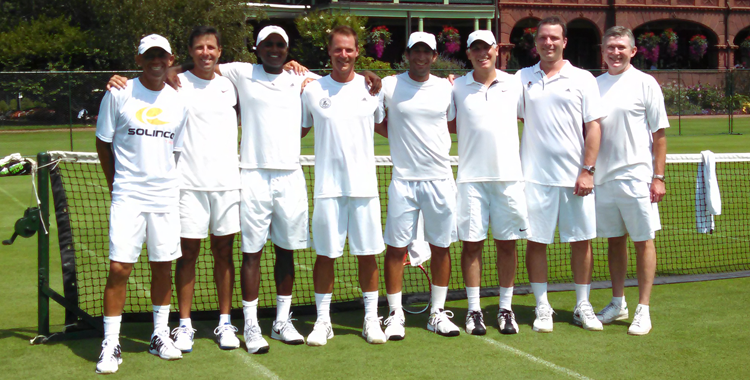 Multiple men’s 30 and older teams from all over the Section met in late July at Merion Cricket Club for a USTA Middle States Interdistrict Tournament. The level of competition is consistently high, with one PATD member noting that it was the best tennis he’s played since college. Interdistrict competition has been a tradition in Middle States for more than 30 years. Teams from each district compete against each other in a round-robin format over a three-day period for sectional ranking points. PATD faced the Central Pennsylvania District (CPD) in the finals on Sunday. For more information on Interdistrict competition in Middle States, visit the website.